Dodie is a loveable personality with a beautiful voice who, from the look of her fans who mouthed along to every word, will be hitting the mainstream very soon. 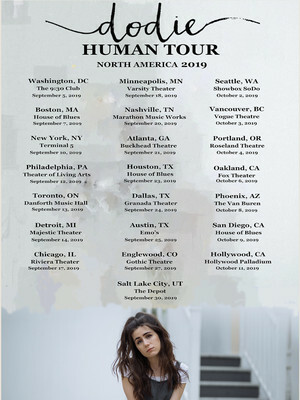 Hot off the back of her Human EP released in January 2019, rising sensation Dodie brings her intimate brand of folk-pop to the US on a 5-week tour. The singer/songwriter, real name Dorothy Clark, has amassed an enormous DIY following via her Youtube channel 'Doddleoddle', posting regular covers, original songs and collaborations with other Youtubers, all filmed from the comfort of her bedroom. Hailing from Epping, UK, Clark is no stranger to taking her music out of the bedroom, having regularly sold out shows across the UK, Europe and USA since 2016 and this tour is set to be no different. Backed by a full band (in which fellow Youtube music star Orla Gartland appears as her guitarist), expect hits and singalongs from all 3 of her EPs, expanded covers and a few surprises along the way. Seen Dodie Clark? Loved it? Hated it? Sound good to you? 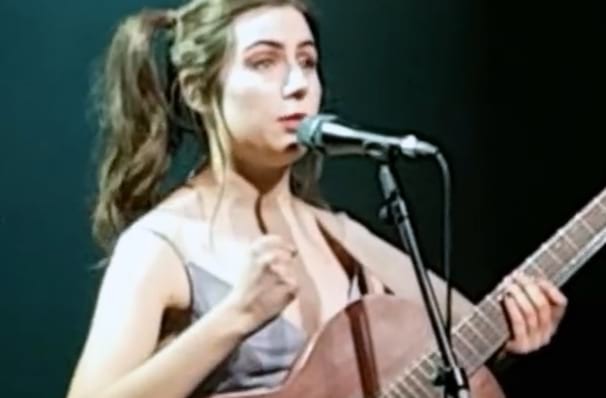 Share this page on social media and let your friends know about Dodie Clark at Showbox SoDo. Please note: The term Showbox SoDo and/or Dodie Clark as well as all associated graphics, logos, and/or other trademarks, tradenames or copyrights are the property of the Showbox SoDo and/or Dodie Clark and are used herein for factual descriptive purposes only. We are in no way associated with or authorized by the Showbox SoDo and/or Dodie Clark and neither that entity nor any of its affiliates have licensed or endorsed us to sell tickets, goods and or services in conjunction with their events.